We have cyclically high P/Es and a decline in the underlying growth dynamics. It is not without good reason that we have seen two market market peaks in the last 15 years and may well be about to experience a third such event – timing as always is dependent on how stupid we human beings can be and for how long we continue to remain stupid. 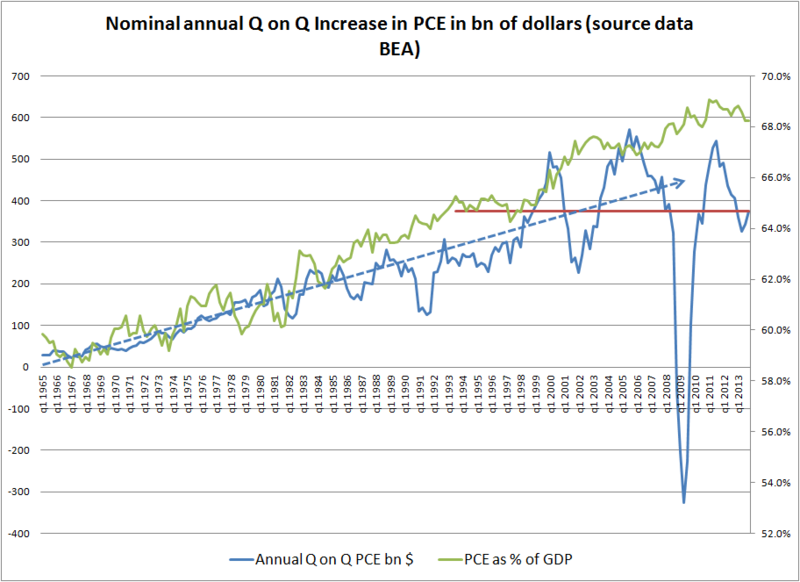 I have made numerous references to the impact of QE on asset prices and how asset prices with respect to implied future economic growth rates are at odds. Rising multiples depend on rising growth rates, but the growth rate of expenditure flows have declined while absolute levels appear to have hit a ceiling. Add this to low income growth, rising income and wealth differentials and increasing issues with respect to key developing economies and there is very good reason to be concerned over asset prices. 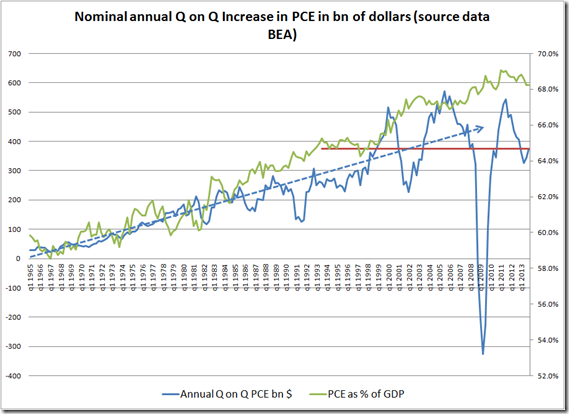 This entry was posted in Capitalism in Crisis, GDP, US Economic, valuation by Depthdynamics. Bookmark the permalink.